Firstly pardon the terrible pun. 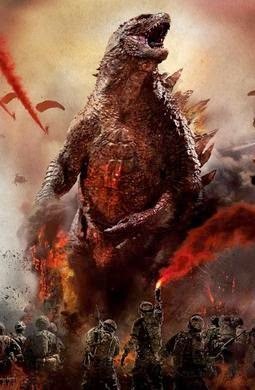 As I saw the new Godzilla movie the other day, I thought I would share a review, focusing also on some of the design choices tying in with my area of practice. 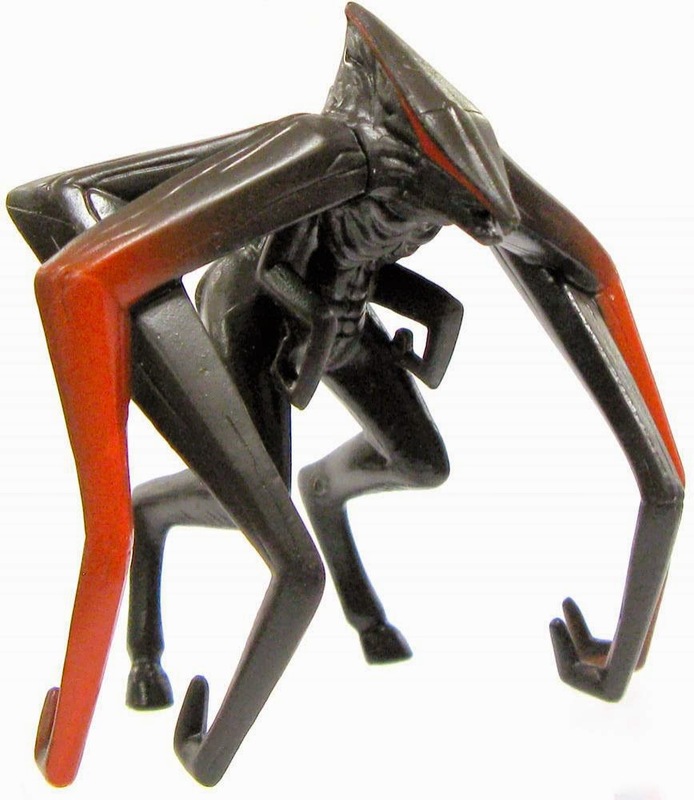 Unfortunately there are no movie stills or concept drawings of the M.U.T.O on the net, but as you can see, the enemy creature lacks recognisability with its long limbs and crazy anatomy. Even the legs are horse-like, making the monster entirely un-relatable. Godzilla has more human features like arms and legs and expression filled eyes. 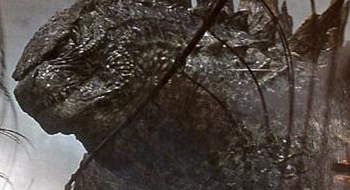 The stubby, cartoon-like anatomy of 'Zilla with the tree trunk legs, makes him strangely cute as well as terrifying. He almost appears like a giant mean teddybear. I think the new design gives off similar effects to Peter Jackson's 'King Kong.' The giant ape is at times fierce and shiver-inducing, and then at moments adorable generating massive amounts of sympathy. I also liked the choice to set the first part of the movie in Japan, bringing back the oriental origins of the monster. Also, I believe the film does well in presenting 'Zilla as a force of nature. When he arrives in Hawaii, the sea retracts in preparation for a tsunami. The monster arrives within the tidal wave raging through the city of Waikiki. When the monsters fight in San Francisco, we mainly see glimpses of the action from the perspective of protagonists on the ground. I was expecting 'Pacific Rim,' but to my pleasure the action was more subtle, and I was reminded more of 'Cloverfield.' the way we only see parts of these monolithic monsters do battle, made it feel like there was a giant storm raging through the city, rather than a giant dino-boxing match with destructible skyscraper looking props. 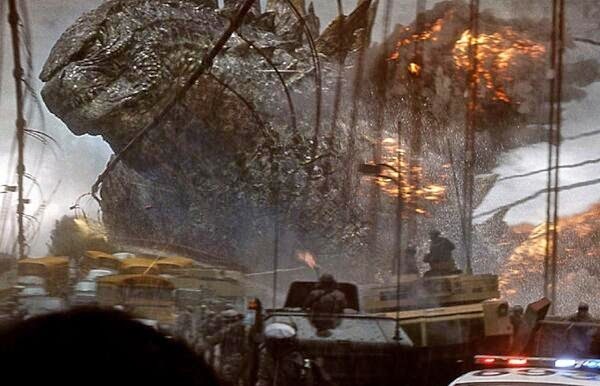 There was a particular scene where a military unit were parachuting into the scene, and we were treated to a helmet view from one of the soldiers as he descended past the colossal Godzilla. I feel these are points on framing and shot set-up. In the 1998 envisioning, Godzilla was often seen arched over in full shot. In the most recent adaptation, Godzilla stands taller, often mostly out of frame to emphasise his monolithic stature. Overall, I preferred the way that Godzilla was presented in this 2014 instalment. 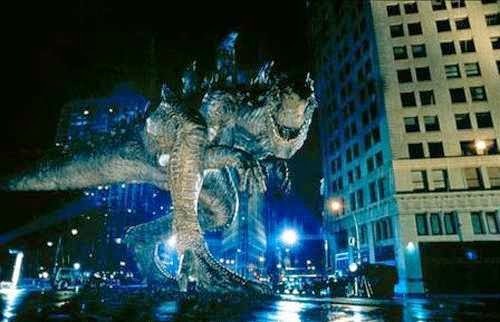 He reflects much more of the classic Godzilla build, and arrives to restore natural balance after the M.U.T,O arrive, rather than needlessly terrorise mankind.